Maybe we don't just post useless posts for the sake of raising our post count? No no no no that's wrongidy wrong. I just want to have fun talking with ya guys regardless to numbers. I want this place to be like IM. Conversations are tooo slow, and too professional. I can start spamming to bolster my post count if you'd like. Spamming is not required to have serious or rapid-paced discussion. You yourself are the veteran of all the other chat threads. We've never had one last this long (since the original). Did you spam your way through them? ...hmmm...oooh I have a topic! Why are there so many haters of Barney, its really confusing/insane. I personally loved Barney as a kid. Maybe it was just everyone grew up and figured because they were too old to watch the show they should hate on it. I stop watching shows, but I don't say they aren't/weren't good unless I feel they really weren't. I think it was just that Barney has little to no appeal to children past a certain age, and so it was treated like a rite of passage to not like Barney anymore. Just like some adults will buy a needlessly expensive car to show off that they're successful, I imagine kids tend to turn that lost interest into an intense hate just to show off how "mature" they've become. Barney wasn't a my thing, but the Blues clues was. I used to have a cook with Barney book and now it's gone. That's all, I don't find Barney Bad. Ummmm that reminds me.. 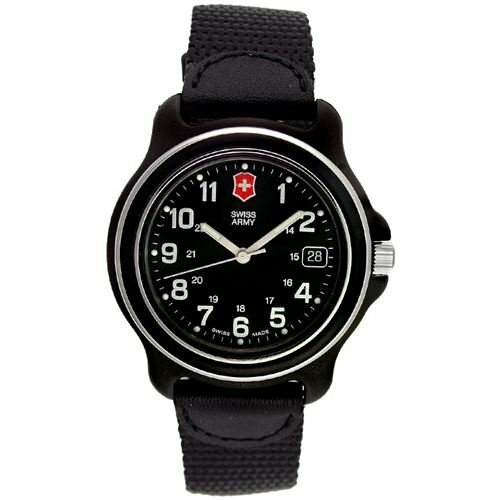 I don't have a watch and I'm thinking about getting myself a Victorinox watch, which is 150 bucks. They are made by the swiss army knife making company and their stuffs are long lasting ones. My Dad finds that it is unneccsary to get a watch that is 150 bucks and told me to get one from Costco, 'around 20 bucks. even though I'm buying one with my own money. Am I a bad kid? Am I a bad kid? Now off to bed and no dessert! My Dad finds that it is unneccsary to get a watch that is 150 bucks and told me to get one from Costco, 'around 20 bucks. even though I'm buying one with my own money. Am I a bad kid? While I don't personally see why you would spend that kind of money on a watch because you want one, I don't think your dad should be telling you you can't if it's your own money. If you want a watch to wear everyday, I would get a cheaper one. Save the expensive one for times when you need to dress up a little, like church. Is it a n order or is he making a suggestion? If it's a suggestion, I would suggest the same as none of my watches have cost much more than $20, mostly less. If he said it as an order, it's your money, you can do with it as you please. As for your watch TexasCat, I'd say get it if you really want, I always wanted a pocket watch but they were super expensive, but I would've saved up and bought one had I not found a Doctor Who one for $30 (good quality one too). The only problem I would've had with having an expensive one is I'd be too scared to wear it everyday. I don't often have things break from general wear and tear but Murphy's Law tends to make fools of us. Is there a picture online where I could see the one you want? Just out of curiosity. My parents didn't really need to force me to watch kid's shows. I still watch some of 'em. The only family unfriendly thing I still watch regularly is South Park and I never even watched that until I was an appropriate age for it. Last edited by Seth on Fri Nov 16, 2012 3:28 pm, edited 1 time in total. it's true. I had a calculator watch in high school and all the ladies wanted to push my buttons. though that may have just been because of the novelty of it. See? Proven testimonail. Or something. I kinda don't get it, why would you get a cheaper one for daily use? if you are worried about it breaking, the watch is by Victorinox; Swiss army knife company. Macgyver!! and I'm big fan of victorinox. Science rulz! I'm in to fancy classy-military watch. chicks eh? though I'm too nerdy to have chicks around. I mean I do have few female friends but not to an extend of hanging out after school. 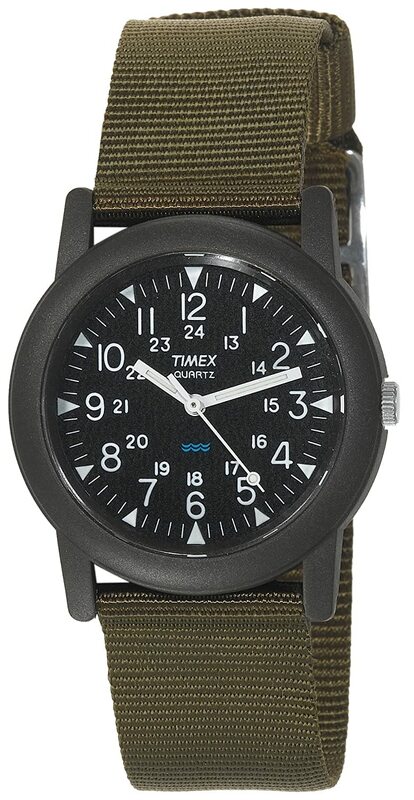 this one was also worn by Macgyver, it looks really really military, but not too fancy and cheap, just 30 bucks. ohhhhhh which one should I get? That Victorinox watch looks really nice, and actually really sturdy, although it seems $150 is a bit much for it. I don't love the khaki on the other one but it looks very good and similarly sturdy, if it's $30 I'd probably go for it. Sonic has been around over 20 years. He started out extremely popular and he's held on to a good amount of that popularity ever since. Needless to say, there has been significant opportunity for different media. On top of that, two cartoons were made in the '90s, as well as a comic book series. One of the series and the comic book (which are essentially the same continuity) are very well-done and have established a very big universe with a lot of characters and plot lines, many of which the games don't even get involved with. So needless to say, the fanbase has a lot to latch onto. "Adventures of Sonic the Hedgehog"
and "Sonic The Hedgehog the Movie (OVA)"
Sonic has also since had one more TV show this decade in the form of "Sonic X"
There have also been two respective comic books, the Fleetway and the Archie series. and thats not to mention all the Sonic games SEGA has released. To add on that OVA, rumor has it(untill it was more or less confirmed) that the OVA was actually meant to be an entire TV series, but the first two episodes(the OVA) did poorly with the test audience. So the writers said "Forget it. We'll just slap these two episodes together, and call it a Movie." The reason why it did so poorly: nobod knows, but my guess is the audience thought it was just for kids(which it was, but it was also for teens and adults), and were appauled at the GCPTR moments(you know the ones )and reacted poorly. Poor Communication canceled it, in a nutshell. So to reiterate: because of poor communication(it was meant for all ages, particularly teens, but the audience didnt know that) killed a to-be-series where Knuckles was an AWESOME treasure hunter, Sonic and Tails ACTUALLY ARGUED from time to time, AND THERE WAS A CAT-GIRL ...waaahh..
Just read yesterday's newspapers... Almost every newspaper comic pretty much talked about how our lives are ruled by Facebook, MySpace, Skype and Twitter. When even Blondie talks about Skype, it feels silly. It's already silly enough that Blondie is still being written. Sometimes I think about how much better my life would be without facebook and it makes me sad. I don't bother with any of that social media stuff. I have a phone and an E-mail. If you want to talk, call, text, or E-mail me. It makes it so much easier if only people I give this stuff to can talk to me. And people I don't know can't get my personal information either. Last edited by JeffCvt on Sun Nov 18, 2012 5:41 pm, edited 1 time in total. Facebook makes me happier. I think I'm one of the few people who can say that. I like being able to be in touch with my friends, even if it's just in small doses. I don't mind Facebook, it's just not my type of thing. My family uses it almost everyday though on the PCs and the rest of the family is on it, so it makes them happy to keep in touch when far away. I only use FB to lurk around. and I'm not big fan of it, I just have it cuz everyone else has one. even though everything went techy tech tech, I still use notebook to remind myself instead of using Reminder app. I like being able to be in touch with my friends, even if it's just in small doses. I don't even use it for that anymore. All I do now is 'Like' random pictures.